Every now and then, a simple yet radical idea shakes the very foundations of knowledge. The startling discovery that the world was not flat challenged and ultimately changed the way people perceived themselves and their relationships with the world. For most humans of the 15th century, the notion of Earth as ball of rock was nonsense. The whole of Western natural philosophy is undergoing a sea change again, forced upon us by the experimental findings of quantum theory. At the same time, these findings have increased our doubt and uncertainty about traditional physical explanations of the universe’s genesis and structure. Biocentrism takes the reader on a seemingly improbable but ultimately inescapable journey through a foreign universe—our own—from the viewpoints of an acclaimed biologist and a leading astronomer. Switching perspective from physics to biology unlocks the cages in which Western science has unwittingly managed to confine itself. Biocentrism shatters the reader’s ideas of life, time and space, and even death. At the same time, it releases us from the dull worldview that life is merely the activity of an admixture of carbon and a few other elements; it suggests the exhilarating possibility that life is fundamentally immortal. 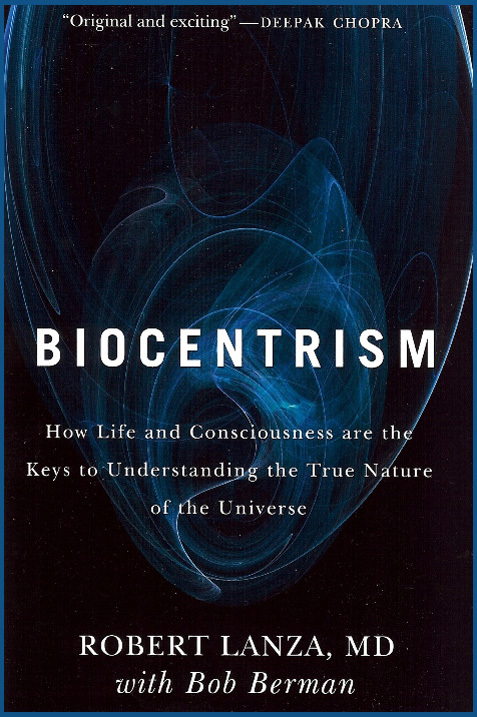 Biocentrism awakens in readers a new sense of possibility and is full of so many shocking new perspectives that the reader will never see reality the same way again.